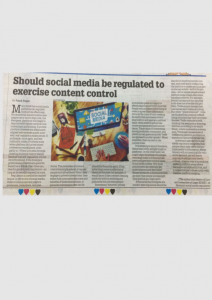 Should social media be regulated to exercise content control? "[...]It is tempting to sound the alarm, blame fake news and get tough on platforms. On another hand, we might begin by asking why people seemingly want to consume fake news [...]"